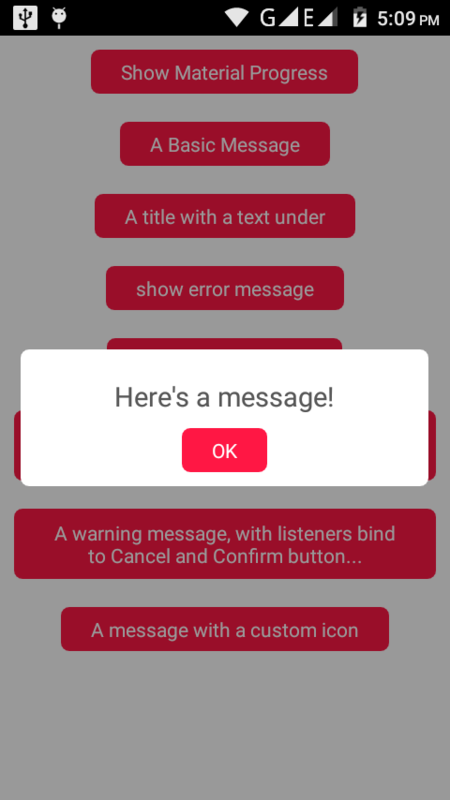 GitHub - TutorialsAndroid/KAlertDialog: AlertDialog for Android, a beautiful and material alert dialog to use in your android app. Want to be notified of new releases in TutorialsAndroid/KAlertDialog? New version of library 15.4.19 require New version of this library doesn't support Old Android version.